Our pneumatic multifunction tool comes with eight different attachments for all types of specialty work. There are three different types of flush cutting blades, a half-moon blade, a half-moon diamond grinding disk, two types of ridged flush scraper, and a sanding attachment. Included are 4 each different grits of triangular sanding pads (total of 12 sanding pads). 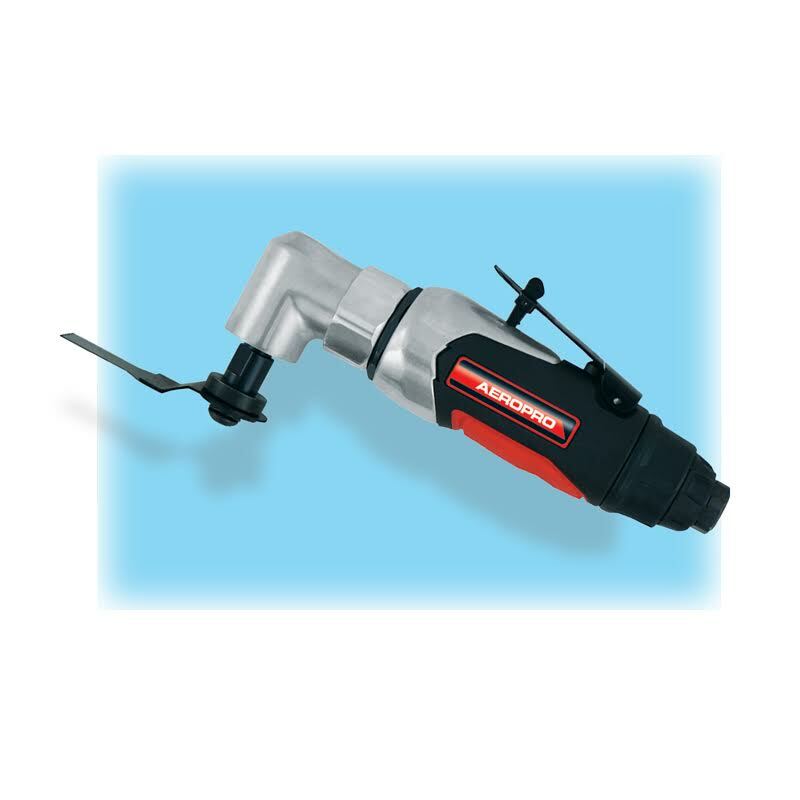 The tool is great for wood and soft metalworking. It also works well at removing adhesive residue and other coatings. Cutting plastic is another excellent use of this product. This tool features a safety catch that prevents accidental starts. The trigger lever controls the tool speed. The spindle and blade arbor locks the blade in 7 forward positions. The airflow control knob controls the airflow to the tool. Always run the Multi-Function Tool using 90 PSI and make sure your air is clean. This will increase the life of the tool. Proper lubrication is also important in maintaining the tool and extending its life.